You get to choose a Classic (omnivore) or Veggie Box and review some of the recipes which I like ranging from classic to international meals!! My son and I enjoy our Southern and Home style meals but we love trying something a little different and maybe a little healthier once in a while!! Also, my son and I have health issues (my son lives with Autism and myself Crohn's Disease ) so while we can eat most foods there are a few we try to avoid due to preferences and food allergies (cashews and pistachios). 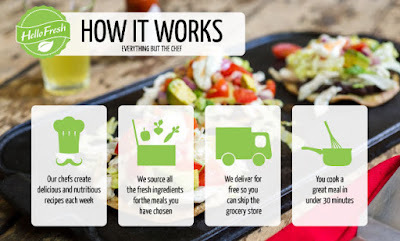 I did some more exploring and notice the ease of a flexible subscription plan and ways to omit or choice certain ingredients/recipes to fit my family lifestyle!! 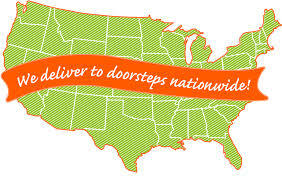 They deliver their boxes in all 50 states! 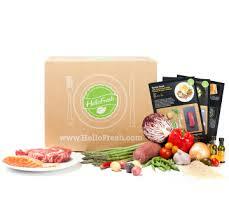 This is definitely on my subscription wish list to try out in September!! 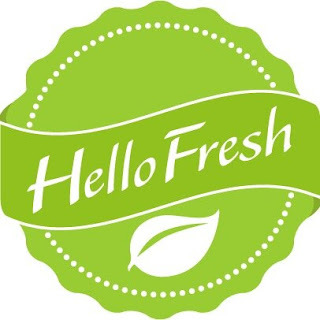 What is your experience with Hello Fresh? Please let this home cook know below!! Thanks for sharing Ursula! Agreed that healthy food is important. I have looked at their suggested menus and its tasty but not too "over the top" that not my son will not try...he eats anything!